Many subcontractors offer to machine components from metal as well as plastics, but they are different disciplines and it is difficult to excel at both. Plastic materials present special challenges, not the least the long, stringy swarf that is normally produced during turning. Chip breaking is almost impossible, whatever tooling is used, except when machining acetals with relatively high feeds and speeds. 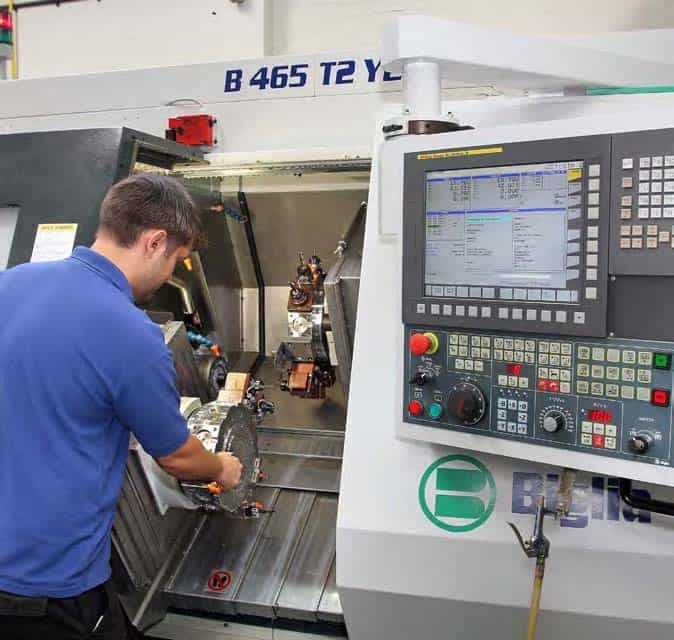 Italian CNC lathe builder, Biglia, represented in the UK by Whitehouse Machine Tools (www.wmtcnc.com), offers a range of lathes that alleviates the difficulty. It does this by allowing the sub-spindle to be offset downwards and to the front of the machine by up to 115 mm, instead of being collinear with the main spindle. The main reason for the manufacturer providing this feature is to eliminate the possibility of interference between the two (or three) turrets when they are working simultaneously in certain configurations. However, Nylaplas Engineering (www. 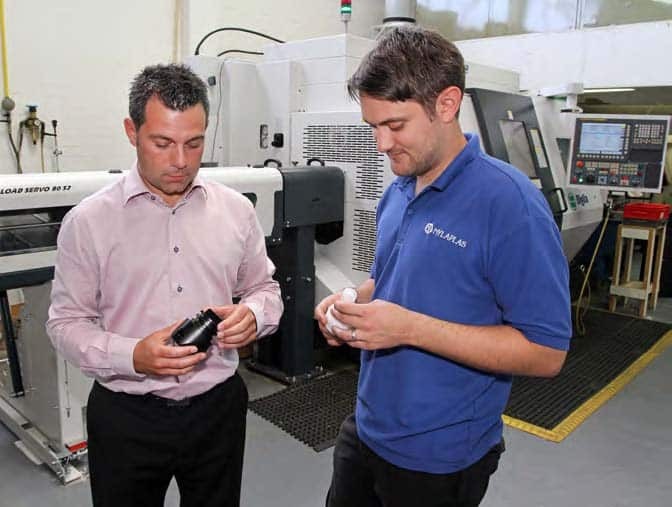 nylaplas.com) in Nailsea, near Bristol, has identified an additional advantage that results from offsetting the spindles. While a plastic component is being turned in the main spindle the coils of swarf, which tend to move horizontally to the right before falling away, do not interfere with simultaneous machining of a parted-off component in the sub-spindle, as it is lower and more importantly offset horizontally. If the spindles are on the same level, the right hand machining area invariably becomes covered in swarf from the left hand side, which is detrimental to second-operation machining, compromising both accuracy and surface finish. On the other hand, the ability to move the sub spindle back in line with the main spindle is also useful, as it allows the former’s B-axis to come into play. A long component can be gripped and rotated at both ends to avoid it deflecting during turning and cross milling or drilling. 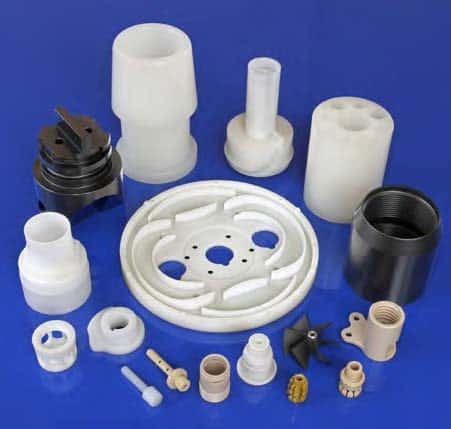 Nylaplas is a global supplier of thermoplastic machined components and stock shapes to the nuclear, defence, aerospace, pharmaceutical and semiconductor industries. Technical director, Andrew Bassett, who runs the family-owned firm with brother James and mother Leonora said, “We discovered this feature of Biglia lathes by chance when we installed our first model 15 years ago. “It had two C-axis spindles served by two turrets with live tooling and proved very productive in the manufacture of a 2 long-running job involving turning molybdenum disulphide-filled nylon bar into carriage rollers for a rail motion system. We needed to produce 120,000 of the 48 mm diameter by 25 mm long components per year. The Biglia lathe managed to secure the carriage roller contract for Nylaplas, taking 15 seconds out of what would have been a 63-second cycle on the single-spindle lathe. 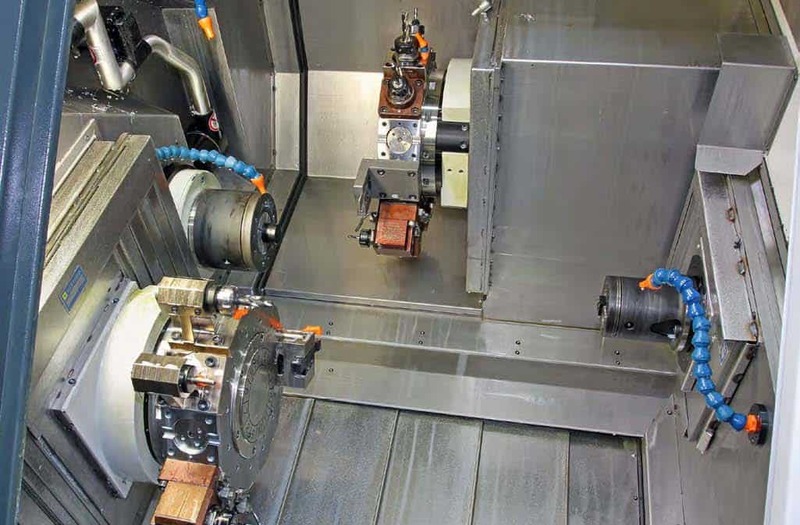 Driven tooling was not needed for this particular job, but has proved valuable for a multiplicity of other work that has been put onto the machine. A majority has been in the 30 to 70 mm diameter range, with smaller components generally being produced on sliding-head lathes. Tolerances can be as tight as 0.05 mm, but a couple of degrees Celsius variation can cause some engineering and advanced thermoplastics to expand or contract by more than that, so temperature management is crucial. One-hit machining is a major advantage in this respect, as a component stays in one environment during the entire manufacturing process. Most plastics are annealed before machining to stress-relieve them and help stabilise the materials. When the time came in March 2015 to replace the Biglia lathe, Mr Bassett reviewed the market again but decided in favour of another of the Italian-built turning centres. A 10-axis B465 T2 Y2 equipped with an LNS Quick Load Servo short bar magazine was duly installed. As the machine’s designation implies, it has the added advantage of Y-axis CNC movement on both turrets, each of which has 12 live stations. Coincidentally, when the company was visited, a batch of cube-shaped components was being produced from round plastic bar that could not have been machined for the required price had the lathe been purchased without the optional Y axes. Another improvement on the latest Biglia lathe is a twin conveyor arrangement on the output side, rather than a parts catcher. A component emerging from the machine on one conveyor is directed onto a second conveyor at right angles that carries it into a waiting container at the front. 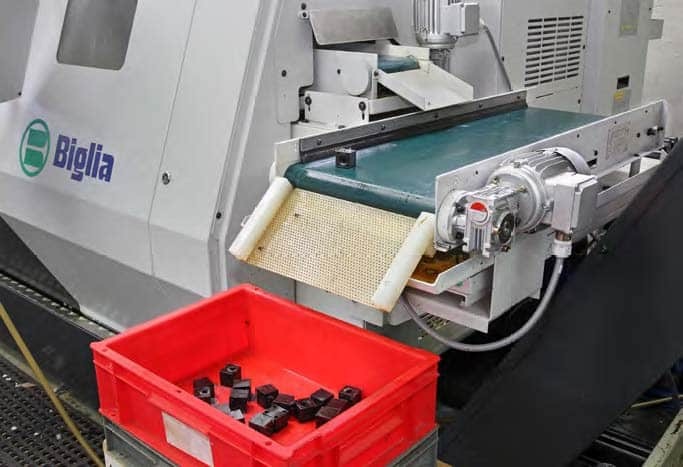 Control is provided by a Fanuc 31i-B CNC system, which allows programming on the shop floor of even quite intricate parts as well as 3D simulation. More complex components are programmed offline using a OneCNC CAD/CAM package. Mr Bassett concluded, “The Biglia machine’s design has proved ideal for machining our plastic materials, including laminates, PTFEs and PEEKs, for a decade and a half and continues to do so. “The technical input from Whitehouse has proved useful as well. For instance, they showed us how to adapt a peck drilling macro in the control to generate a chip breaking action. “It is good for roughing plastics, especially when carrying out balanced turning using a tool in both turrets. “We have also been impressed with their backup. The staff are attentive and provide a prompt and personal service. Notable is the standard of training they provide.